. : Home :: Our Approach :: People :: FAQ :. 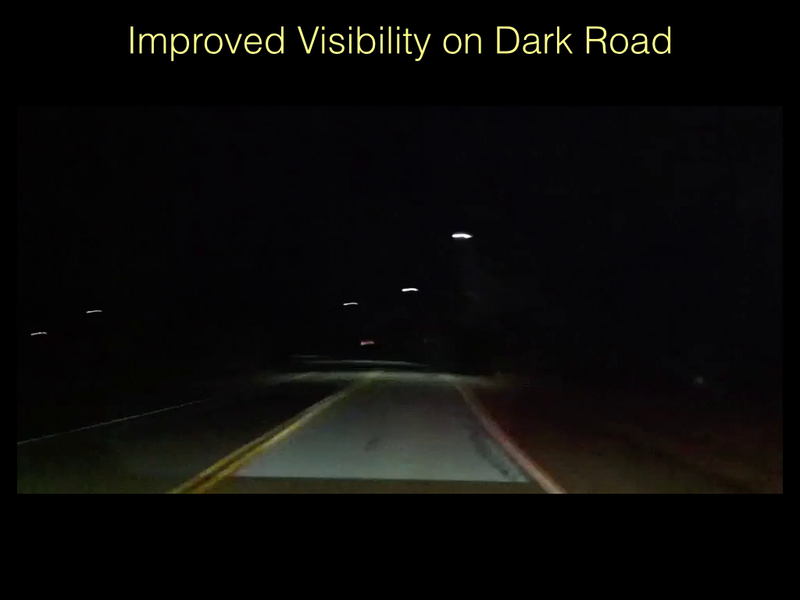 Sometimes the road is not clearly visible and no amount of illumination from a standard headlight can assist the driver. A few examples of such situations are snow covered roads, roads without lane markings or shoulders, and poorly lit roads. 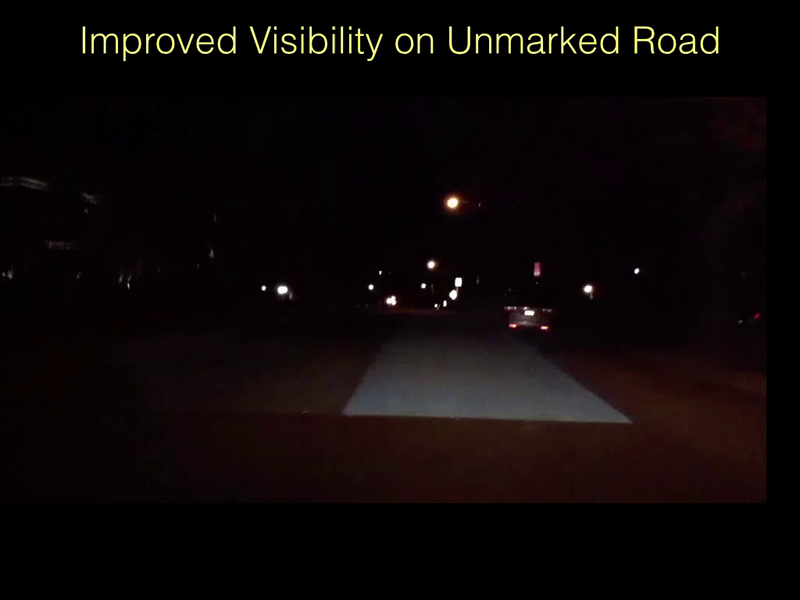 Our prototype can be used to brightly illuminate only the driver's lane to provide them with a visual guide. 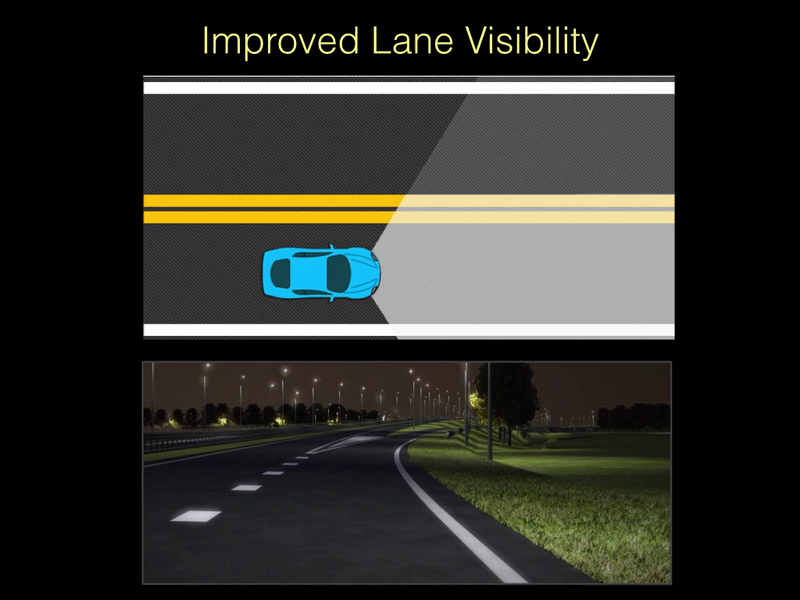 Opposing lanes, curbs, and sidewalks can be illuminated to create a strong contrast with the driver's lane and also provide sufficient illumination to see obstacles.